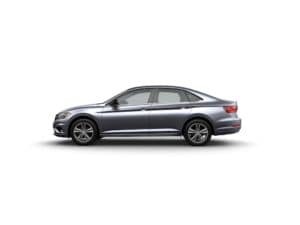 When you’re ready to buy a 2019 Volkswagen Jetta to carry you through Irving, Grand Prairie, Grapevine, and Dallas—you just need to decide which trim level you want. 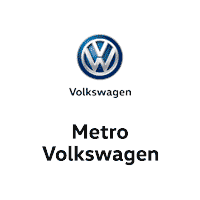 Our team at Metro VW wants to help you out. That’s why we’ve written this 2019 VW Jetta R-Line review to better acquaint you with the design and performance features specific to this model. The 2019 VW Jetta R-Line adds plenty of style upgrades to your favorite German-designed sedan, starting with black grille accents and side mirrors. Plus, you’ll get LED lighting all around, from LED headlights and daytime running lights to LED taillights and license plate illumination. The R-Line also comes with fog lights with low-speed corner-illuminating feature, which directs light toward where your steering wheel is turning to help you see around bends. Show off your design choice with R-Line badging on the outside of the car and on the leather-wrapped steering wheel. Inside, you’ll also find a black headliner along with 2-tone V-Tex leatherette seats. Under the hood of the stylish VW Jetta R-Line, you’ll find a 1.4L TSI® 4-cylinder engine, turbocharged to give you more power when you hit the gas. In fact, this engine provides up to 147 horsepower and 184 lb-ft of torque. That power is controlled with the help of an 8-speed automatic transmission with Tiptronic® technology and Sport Mode to make your drive more fun. The 2019 VW Jetta is front-wheel drive, but it doesn’t feel like it when you’re going around corners. This is because of the XDS® Cross Differential System, which improves handling around tight turns to provide more precise handling and better traction. 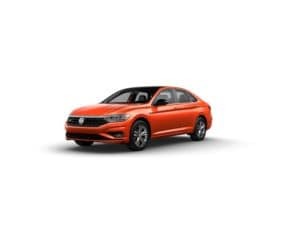 Not only is the 2019 Volkswagen Jetta R-Line stylish and fun to drive, but it also comes with plenty of features to make your life easier. Heated side mirrors and front seats are clutch on chilly mornings, while a power tilting/sliding panoramic sunroof lets a fresh breeze in when the temperature gets milder. The R-Line also comes with a Start-Stop System to save fuel and reduce emissions when your car is idling. This feature automatically turns the engine off when you come to a full stop, whether you’re waiting for a red light or pulling over to drop your friends off. As soon as your foot releases the brake pedal, the engine starts again, so it’s ready to go by the time you start accelerating. Are you ready to drive the well-designed 2019 VW Jetta R-Line around Irving, Grand Prairie, Grapevine, or Dallas? Metro VW is happy to help you take one home. Visit our Volkswagen dealership today or contact us to schedule a test drive!